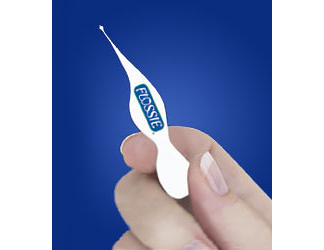 Flossie is a reusable, flexible, plastic plaque remover that fits into areas where dental floss cannot. Its ergonomic handle provides the correct amount of leverage and flexibility to clean back teeth and bridges. Flossie is anatomically designed to fit the supplemental groove (on the roots of teeth) and cleans those difficult to reach spots. "Flossie reaches hard-to-access areas quicker and easier than dental floss and is easier to manipulate. No dental floss, toothpick, or other look-a-like comes close." For more information, visit the Flossie website, or view these videos.